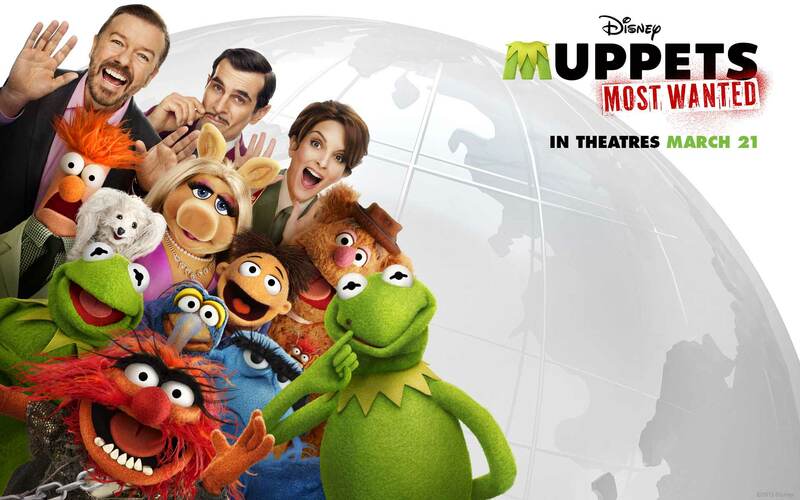 In an era of relaunches and rebirths like Batman, James Bond, and Spiderman perhaps it should come as no surprise that the fondly loved and remembered Muppets should make a return. Televised in the late 70s/early 80s as a variety show which broke the fourth wall, The Muppet Show was a huge hit with plenty of celebrity cameos and Emmy nominations to show for its run. The Muppets then turned its attention to the big screen after the success of The Muppets Movie (1979) with The Great Muppet Caper, Muppets Take Manhattan, The Muppet Christmas Carol and Muppet Treasure Island all proving popular with fans. People of my generation will probably remember The Muppets gracing our television screen in the form of The Muppets Tonight (1996-1998) which I remember fondly on a Friday night on BBC1. However, it proved less popular with audiences than executives had hoped, and The Muppets have failed to really set the world ablaze since, with most of the general public probably being unaware of Muppets from Space, It’s a Very Merry Muppet Christmas Movie, and The Muppets’ Wizard of Oz. The plot of the movie recognises The Muppets lack of achievement recently and sees human Gary (Jason Segel) and his muppet brother Walt (Peter Linz) visit the crumbling Muppet studio, only to find out its about to be destroyed by an evil oil tycoon (Chris Cooper). Accompanied by Gary’s long-term girlfriend Mary (Amy Adams) they visit Kermit with the intention of bringing the old gang back together to put on one last show at The Muppet Studio to raise enough money to stop the beloved theatre from being destroyed. Jam-packed with plenty of musical numbers overseen by Bret McKenzie (Flight of the Conchords) whose style is a perfect fit for the self-referential and unshakeably positive stylings the characters are known for: witty without being too clever; sweet without being sickly. The music for the film is probably its strongest point, setting the tone for the scenes proceedings and succeeding each one; as well as giving us insights into each of the character’s physiques. It’s a musical, the way musicals should be done, with the songs perfectly fitting in with the tone and feel of the film’s universe. It’s one of the few movies where it’s nearly impossible to criticise the plot since it’s so obviously not the point of the film. Instead, Segel, the film’s writer, rightly decides to come up with a story which is merely an excuse to spend time with these characters. Whether or not this film succeeds for you will depend entirely upon whether or not you want to go back and dig out or rent/buy the previous incarnations of The Muppets, or are left desperate to find out if there are any plans for another film or a new television series. For me, the joy of seeing the old gang interact together, with the inevitable mishaps, ill-thought-out schemes, and familiar camaraderie made the film an undoubted success, and left me hungry to find out what this new generation of Muppets writers has planned next.